One Ring missed call service platform is intended to cater for varied structure desires relying upon specific task needed to be achieved. One Ring missed call service gives a cluster of administrations for all classes of the business. LeMeniz Infotech gives a remarkable devoted toll-free number which helps business owners to generate leads, customer support, customer feed-back, customer call-back service user registration, pledge campaign etc. At times it becomes necessary for every website owner to ascertain the authenticity of the users signing in to their portal or buying any products online. LeMeniz Infotech provides a unique toll-free number to verify the mobile number of such visitors, to prevent any possible fraud. Innovation is the right keyword for any corporate house in this world full of competition. One Ring offers various integrated tools on missed call, which can help corporate houses to established themselves in market place as an innovative player. Developer community has always been our preferred choice, as our every innovation has been accepted, recognized and applauded by them. Their inspiration led us to innovate this unique missed call service. 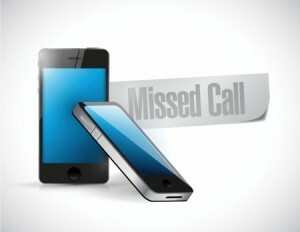 Missed call API can seamlessly be integrated in any application, in any web/desktop application or CRM application through our API, for user registration, user verification, and information pulling from database by just one missed call. Web based – You can start access your campaign online using any modern Web browser from any corner of the world. No installation of other programs is required. Easy to use, user friendly interface along with dashboard, operator & circle wise report along with Geo location tracking. 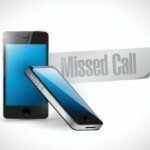 No software knowledge or training is required to use one ring missed call service. Affordable price – Offering one of the lowest rated solution in the industry, choose the plan that best fits your needs. 24×7 support – We provide 24×7 hours email support for all our active clients.